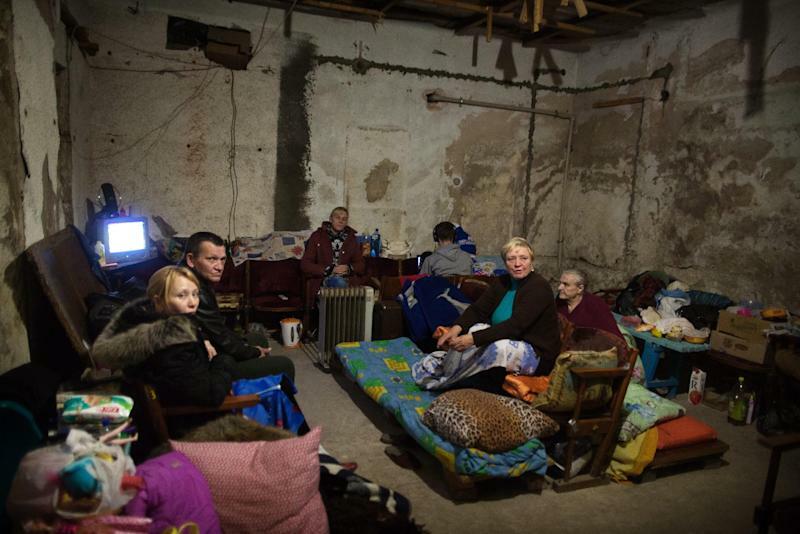 Donetsk (Ukraine) (AFP) - Despite living in a tiny cellar in Donetsk for more than three months, Sergei is not complaining about the frequent shelling or lack of running water. Instead, he saves his fury for his own country -- Ukraine. "It's the Ukrainian army that has done all this damage," the 56-year-old former miner rages, standing in front of the dusty mattress he sleeps on as his wife watches with pursed lips. "The government doesn't pay our pensions," he adds, his voice rising. 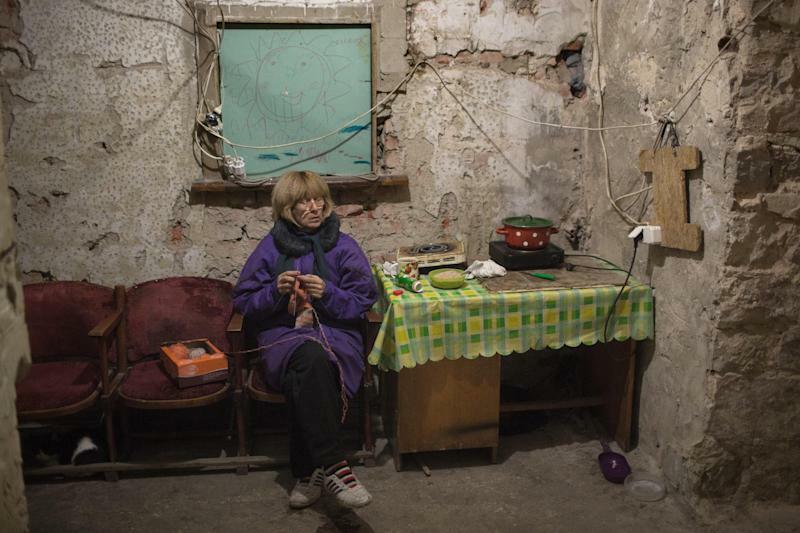 "I am Ukrainian but Ukraine has done me so much wrong." Along with dozens of others, Sergei and three members of his family are living beneath what used to be a cultural centre in Donetsk, the eastern Ukrainian stronghold of pro-Moscow separatists pitched against Ukrainian forces. They are among some 970,000 people who the UN estimates have been displaced -- most over the border into Russia -- by seven months of fighting in Ukraine's east. As the conflict enters its first, harsh winter, aid agencies are stepping up efforts to help the roughly 460,000 internally displaced people (IDPs) to cope amid a nominal ceasefire which is frequently violated. Many of those living in the cellars with Sergei share his disgust at their home country and rely on pro-Russian rebels to help them. Lyubov Domianova recalls an outbreak of shelling on Wednesday from which she sheltered in the room where she lives with her two daughters, grandson and some 20 other people. "It was terrifying," she says simply. The 62-year-old is grateful to the separatists of the self-declared Donetsk People's Republic who she says have brought her food and aid. As for the Ukrainian army, she fears that they will "come and kill us." 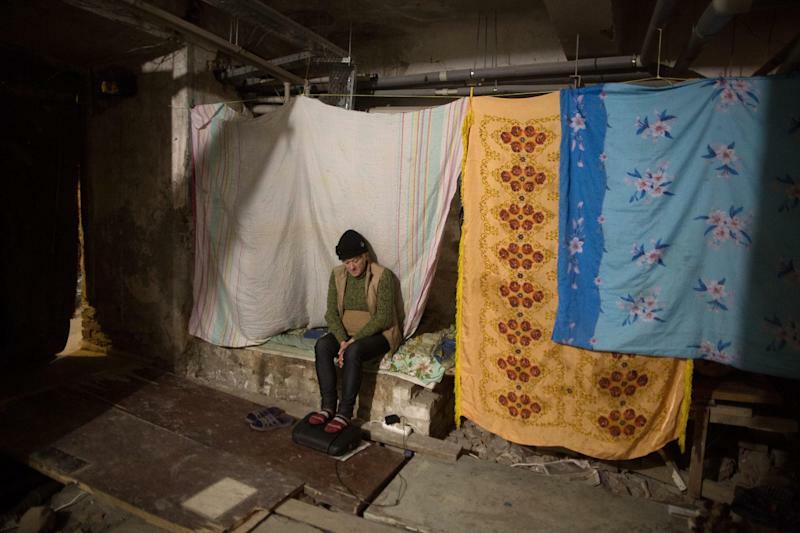 Elsewhere in the city, Tatiana Samarina has found shelter with two others in a student room after leaving her home near Donetsk airport, scene of fierce exchanges between Ukrainian forces and rebels. "They (Ukraine) can forget Donbass. We were never with them. In Donetsk, we support the separatists," she says. Their space is sparsely furnished -- three beds, three chairs, a table and a wardrobe -- but the rebels provide free food and clothes. Around 50 rooms in the pink eight-storey building are reserved for displaced people. Marina Shirishilova, 26, has lived there with her husband and children since being evacuated from their home in July. She says she spends her days keeping the children occupied. The family survives on 50 hryvnias (2.5 euros, $3) per day. But Marina is hopeful of receiving a grant promised to her by the rebels following the birth of her third child, a tiny newborn who sleeps peacefully in a crib in the corner of the room. "Do you know when we will get the money for the baby?" she asks, clutching the child's identity papers.